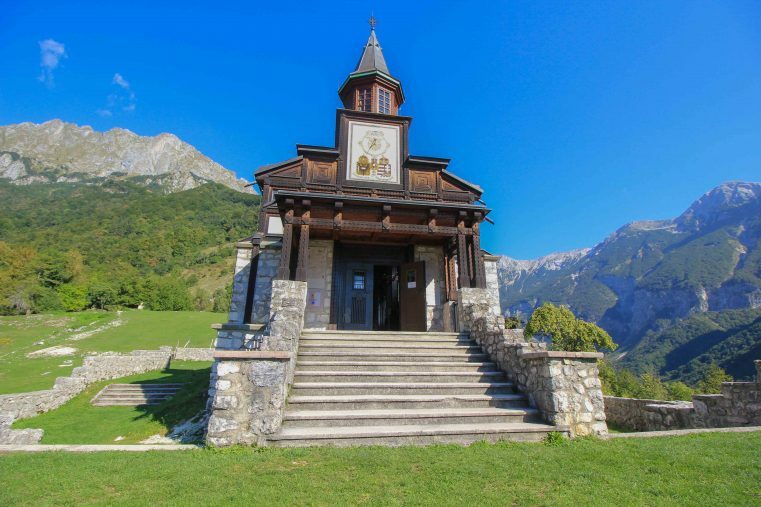 The memorial church of the Holy Spirit in Javorca is a wooden sacred place which was built 1915-1917 in remembrance of the fallen Austro-Hungarian defenders. 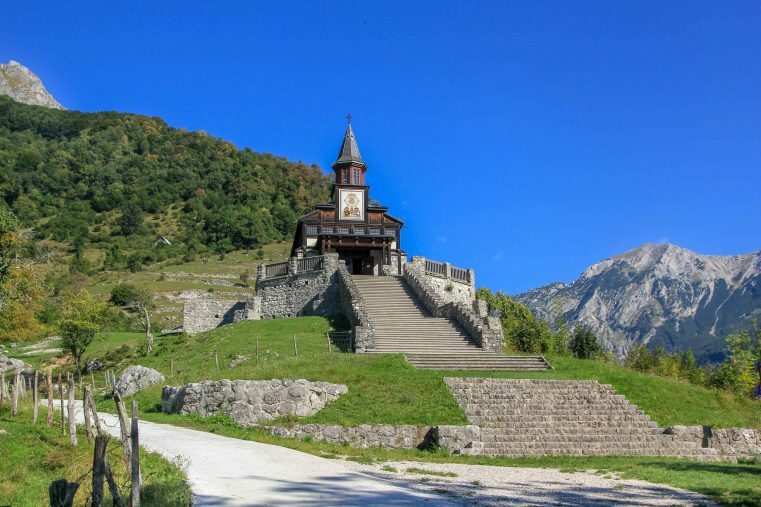 It’s located in the secluded mountainous region of Tolmin inside the Triglav National Park and even received the European Heritage Label in 2018. The church of Javorca is a masterpiece of art and a symbol of peace. 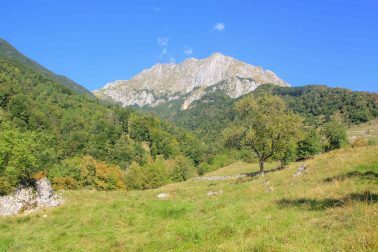 For us it was definitely a highlight of visiting Tolmin and the Triglav NP. 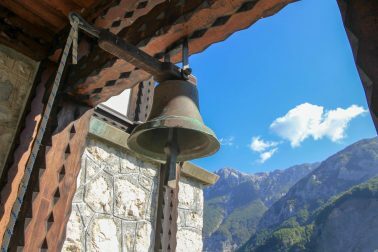 A visit to the Memorial Church of the Holy Spirit is related to a short but steep 20 minutes hike. Although, the way up to is a bit strenuous, at the end you are going to get rewarded with the most marvelous scenery. 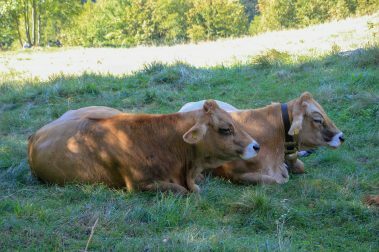 Cows grassing on the alpine pasture, there is an absolute tranquility and at the background you can marvel at the high chain of the Julian Alps. Above all, the view from the church terrace is mind blowing! The church was built nearly completely out of wood and so it needs constant maintenance. With the entrance fee of 4 Euro you are going to support the renovations of this wonderful place and a professional guide explains all about the history. Especially the interior of the church is really worth a visit. All the 2564 names of the soldiers who felt in the surrounding battlefields are written on wooden walls-boards. 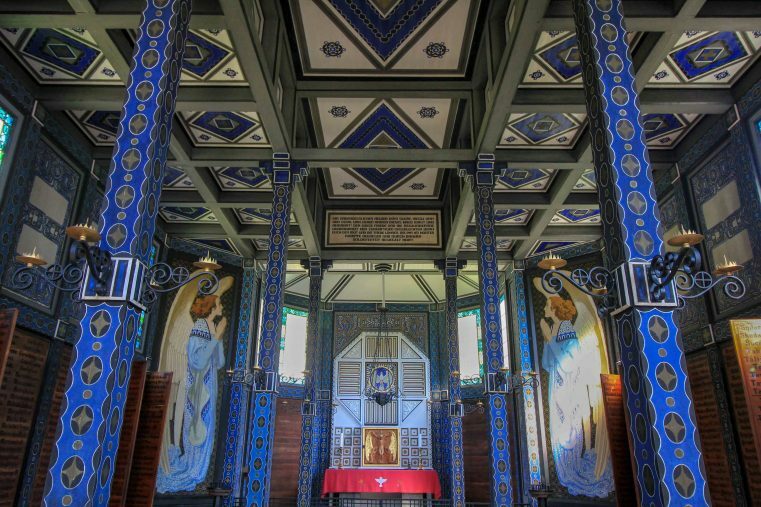 On each side of the altar are large painted angels and everything is decorated in a beautiful blue Viennese Secession style (the church was planned by the Austrian architect Remigius Geyling). 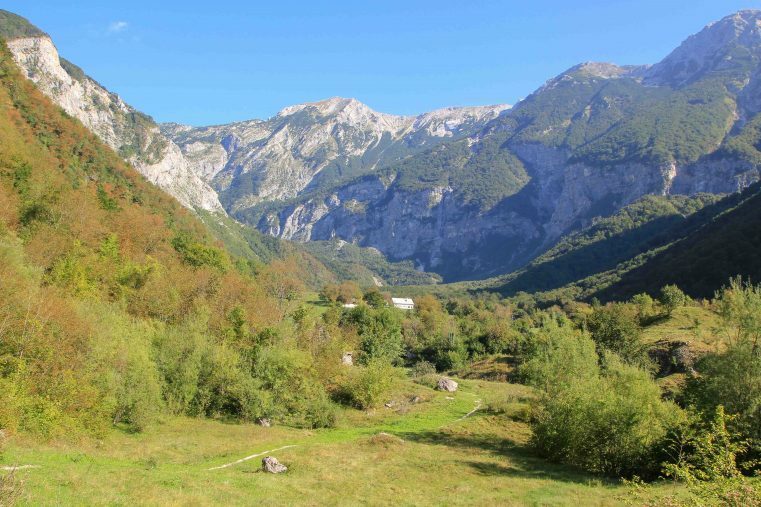 The Javorca alp region is a fantastic starting point for several hiking trails to the surrounding mountains, as well as a selected point of the Walk of Peace trail. This trail connects the memorials of World War I. 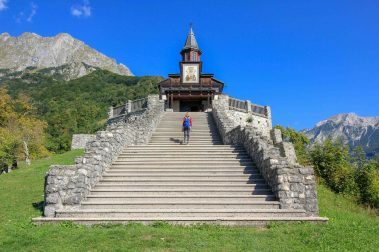 The church is one of the selected points on the famous Walk of Peace trail, which connects memorials of World War I on a 320 kilometres long trail. 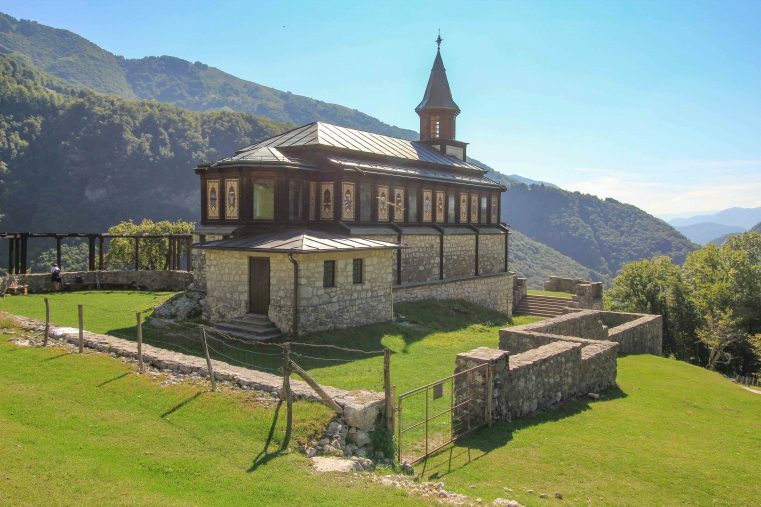 The church is, besides Tolmin Gorge, one of the major points of interest in this region. For getting from Tolmin to Javorca you have to drive approximately 7 km through a very narrow road and then a 20 minute hike. The church of Javorca can be viewed inside from May through end of October (June-September daily). Shuttle services are offered in summer time. If you are around the Tolmin area you should consider a visit to the scenic Tolmin Gorge. The best option for staying is the townTolmin. In this place you are going to find plenty of apartment options.